1. 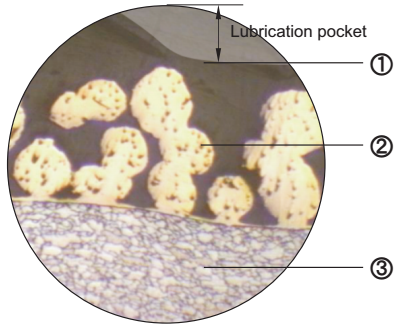 Self-Lubricaying Layer POM 0.3-0.5mm. After rolling process completed, POM are filled in intersice of bronze layer, lubrication indents are stamped, which are full of oil grease, which will be removed and transferred on the mating surface, forms a physically lubricating film, which will reduced the firction coe. and protect the mating shaft. 2. Porous bronze layer; The layer provides bonded strength of self-lub. Layer. 4. Copper / Tin layer. 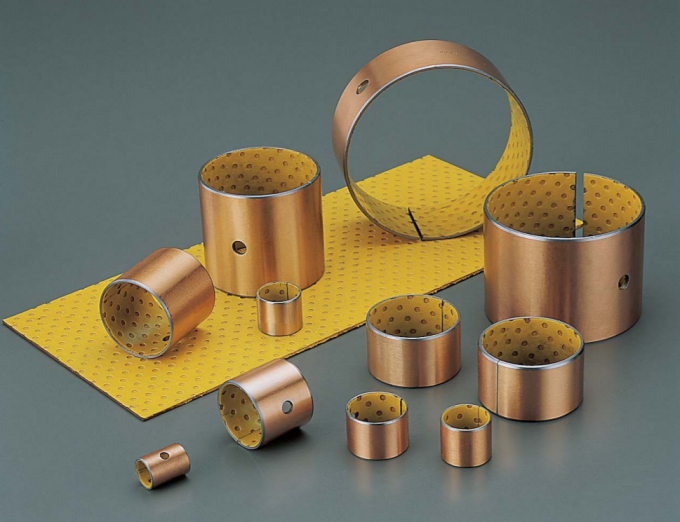 VSB-20 This is a steel based, spherical bronze powder as interlayer and overlaid by a layer of YELLOW/PTFE, the surface of which is provided with oil indentations. Features: the special resin supply with excellent wear resistance and very lower friction, can be keep good work condition even without oil. 1. 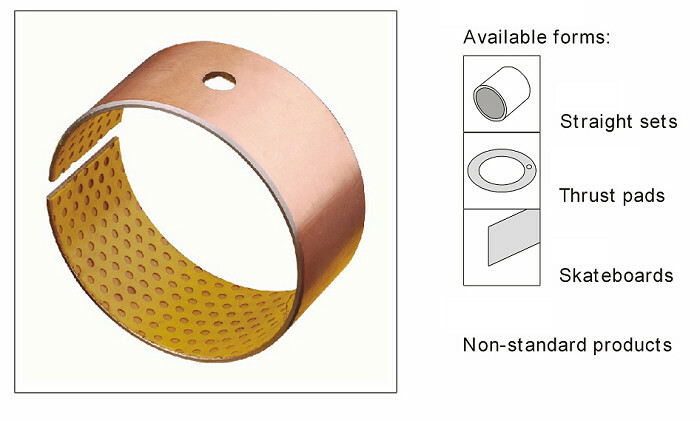 POM 0.03-0.50mm, anti abrasion, low friction coefficient even no oil given. 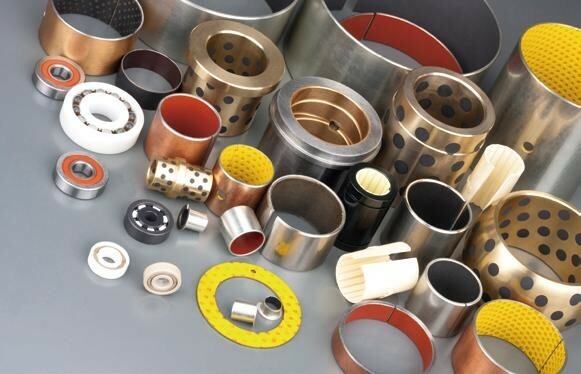 Recommended for applications involving intermittent operation or boundary lubrication, such as suspension joints, kingpin assemblies and stub axles of tucks in automotive, grinding, and milling machines, ram guide plates in building industry gearbox, clutch, bale trips in agricultural equipment. The product can be used under high load with low speed, rotation, oscillation, and also can be applied in no liquid lubricants environment that switches frequently with load; the part can work with out oil, and will have a long operating life if oil giver; the POM layer can be machined during installing, which does benefit to the mating. The products now mainly used in metallurgy machine mine industry, irrigation machine, agriculture machine etc.